IDX (aka Broker Reciprocity) is the abbreviation for Internet Data Exchange. The function of IDX is to enable the display of listings from the MLS database on websites. 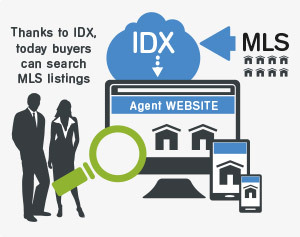 Once developed as a simple solution to display listing search results from MLS on the Internet, IDX meanwhile has evolved into a powerful solution with a large variety of display features to make searching real estate agent websites really comprehensive and easy for prospective clients of real estate agents. The seller turned to an agent, handed over all relevant data and ordered him to sell his property. The agent then logged into his MLS account and entered the property data into MLS. At that time – as only MLS members had access to the database – there existed no way of allowing any kind of public access. When clients hired the real estate agent to find a property for them to purchase, he went into his MLS on their behalf and looked up fitting listings according to the presets given by the prospective buyers. He then presented his findings to the clients. The clients themselves therefore only knew the selection presented to them by the agent. They did never see the entire range of listings available and adjusting their search parameters to find alternatives was a very strenuous endeavor. For real estate agents things were not easy as well. They sure could have their own website on the internet, but the possibilities to display listings online were very limited. The efforts that had to be undertaken to realize display options were very strenuous. Some hired Web Designers and Programmers to build some kind of system that could be fed with listings and display them online on the real estate agent’s website. But these solutions where expensive, because everything had to be built from scratch. These systems also could not access the MLS database directly. Therefore the display of results was also always limited to the listings the real estate agent had entered before. IDX started to solve these problems. Today clients can enter the websites of real estate agents who use IDX as an interpreter for the MLS database and perform their own searches. They can adjust their search criteria themselves and have access to a far greater amount of listings than they used to have in the old days. This makes their search more likely to be successful. Also for sellers IDX offers advantages: A much larger crowd of potential buyers can be addressed by websites with IDX. Today real estate agents have also become more flexible and are able to present more listings than ever, thanks to IDX. No more getting lost in piles of listings printed out on paper for clients. Agents today can focus on offering great consulting services and advice AND on top of it offer the entire variety of listings in their MLS to their clients online. Meanwhile IDX has developed into a value adding part of any informative real estate website. As the request for individualized features grew rapidly, IDX developed into an elaborate system and is now more powerful than ever. With the growth of IDX and it’s increasing relevance for many agents a new field for developers and web designers opened up, because the solution needed to be implemented into the websites. IDXFlorida.com is one of those IDX integration services, offering comprehensive services in the field. This makes it easy for real estate agents to establish their own professional IDX-integrated website without the necessity of technical knowledge or programming. The websites designed by the staff of IFXFlorida.com allow real estate agents to manage them easily on their own. For all IDX-features in use, the IDX system also offers this possibility. Everything is manageable, flexible and expandable. 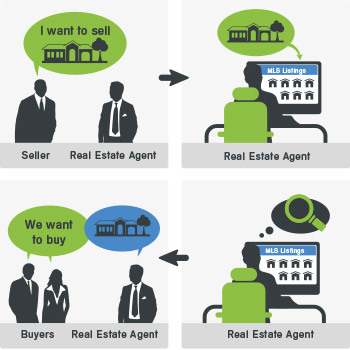 IDX is your tool to offer top notch services to your clients as a real estate agent. The team of IDXFlorida.com will be happy to help you find the best package for your requirements. As an appraiser I am very aware of poor or lcnikag data on MLS information sheets. I am in central Wisconsin and some data, such as age of a property, is only availabe from assessors who mostly work out of their homes and do not have web sites. When we get orders with short turn times we sometimes can’t find the assessor. It is such a simple process for brokers, who typically have weeks of time to get this info prior to sale but do not bother. We also have a problem with brokers referring to manufactured homes as one story and no mention that it is a manufactured home because they do not want buyers to shy away from them.